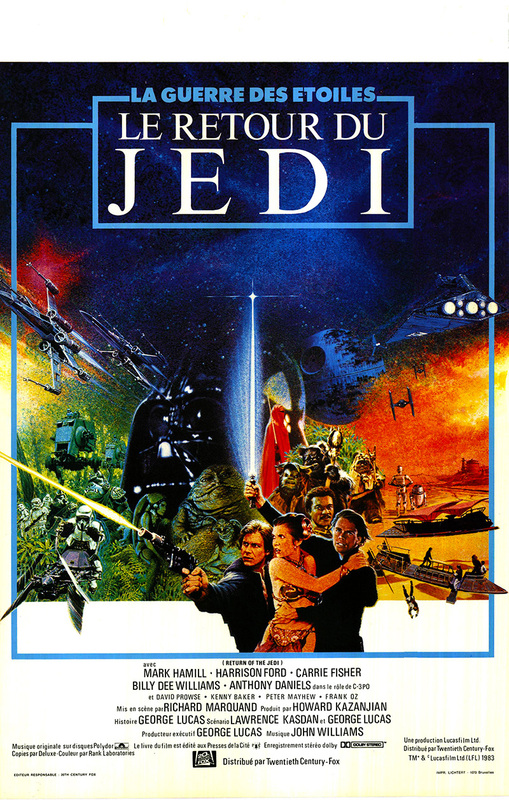 Condition: NM, poster is single-sided, rolled as issued, and has minor handling wear overall. It also has a tiny ½" slice tear in the upper border. Poster is printed by Impr. Lichtert - 1070 Bruxelles on a lighter glossy paper and the international illustration is a favorite among collectors. 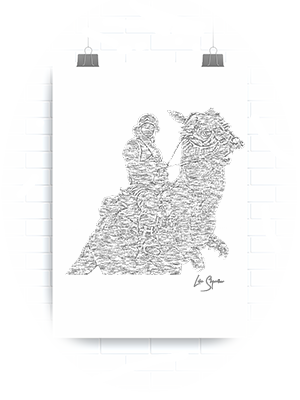 It is also a nice smaller sized poster that can be framed more easily than other countries larger pieces. Please click on the extra large supersize thumbnail image to the right, to see all the small defects. 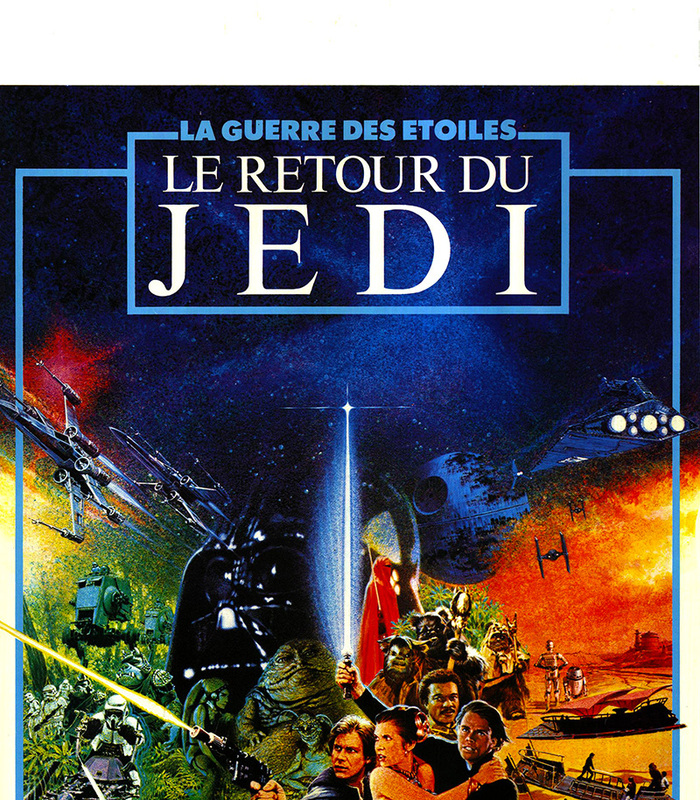 This Belgian poster is the French language version of this Michel Jouin collage illustration for the Return of the Jedi. 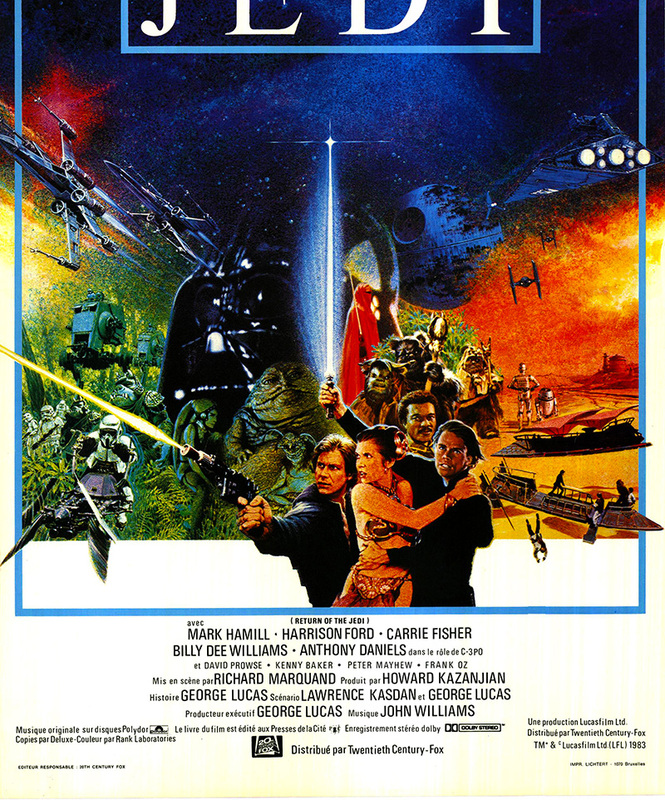 It contains the cast, credits, film title, 20th Century Fox and sound emblems at the bottom in black lettering, along with a light blue border semi-framing the action artwork. 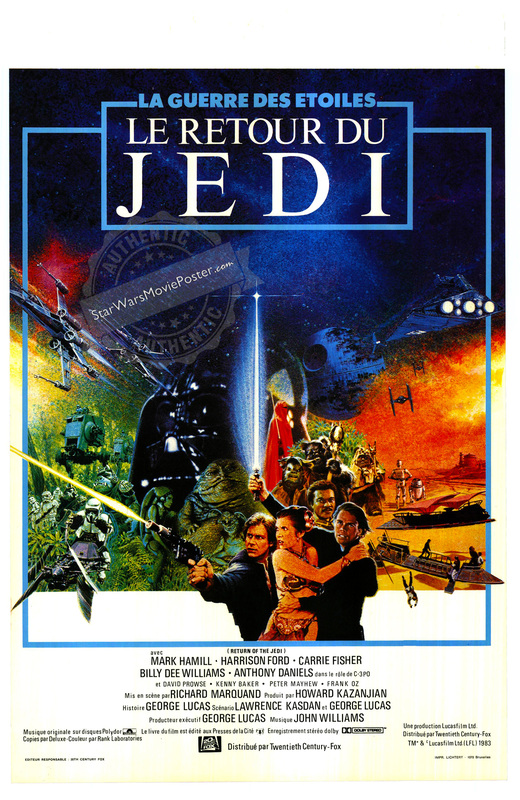 The French film logo (Le Retour Du Jedi) is at the top of the poster in white lettering, while the English title is just below the design.